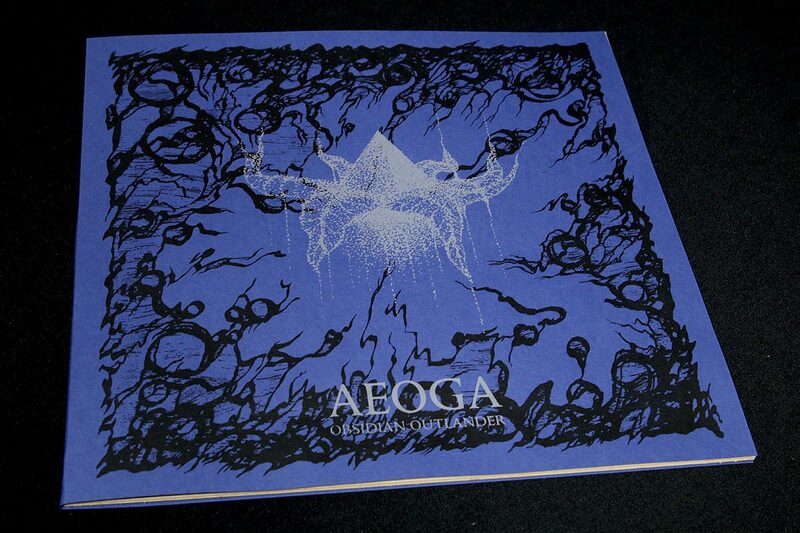 We are proud to present the new Aeoga album ‘Obsidian Outlander’ through our Sublunar series. ‘Obsidian Outlander’ slowly weaves together droning fabric of guitars and analog synths that melt together with abstract sounds and field recordings. Whereas earlier works have been more holistic in nature, ‘Obsidian Outlander’ is maybe the most narrow-focused thus far – bound to only certain frame and concept. 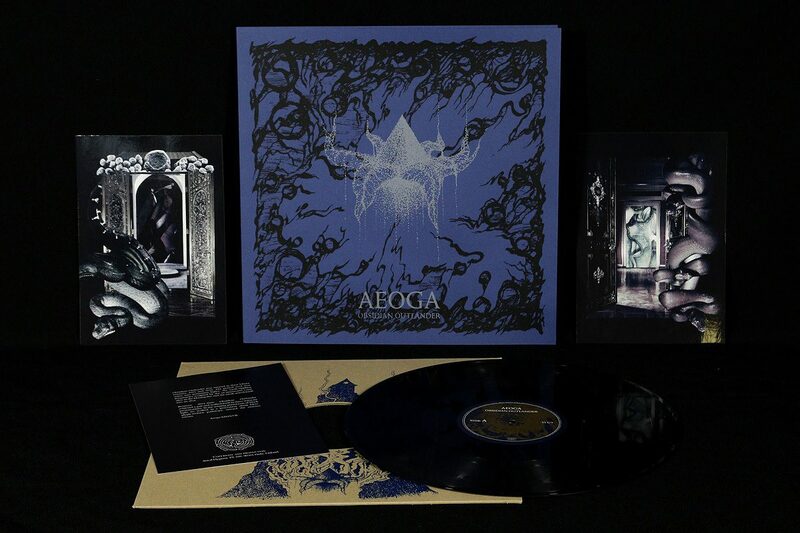 The album exhales its nocturnal essence upon the listener and inhales this sensory experience back into Aeoga’s mythopoetical dimension, crystallizing into a vision of a vigil standing before a slowly throbbing corpsecloth, while the black loom weaves the fabric of UN-inverse-OM. Total running time: 29:08. The silver edition of the ‘Obsidian Outlander’ LP is enclosed in a customised and screen printed cardboard covers & inner sleeve, including three A5-sized insert cards. Limited to 130 copies.